Moto G press photo leaks – or does it? Serial rumour breaker, @evleaks, has recently posted an image of what they claim to be a press shot of the upcoming Moto G. After studying the images, it looks almost identical to the Moto X – even the time and date are very similar to the Motorola released press shots of the X. There are some very subtle differences between the two above images, there is an extra icon in the status bar of the “Moto G” render, and the way the date is stated is slightly different. Plus the added Verizon logo that is becoming an internet meme that must be included in most leaks. 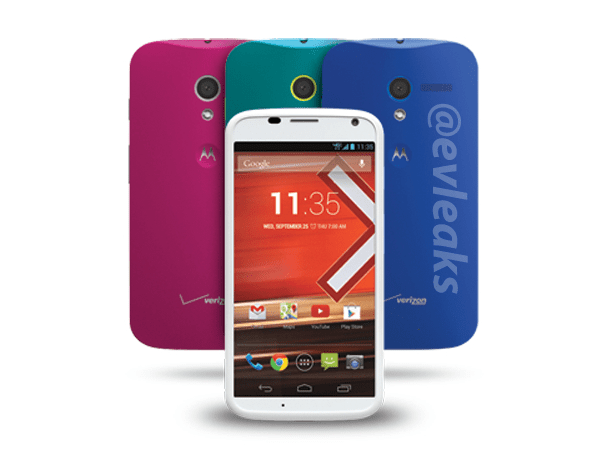 Unless the Moto G is a doppelgänger for the Moto X, then perhaps this particular leak is fake. However, all is not lost for those looking for some early Moto G rumours, as Cnet UK is reporting that they have been invited to a UK launch event on the 13th of November, which coincides with the Live Stream that Motorola is planning for that day. This raises our hopes that the Moto G will be released in Australia, as previous reports suggested that this mid-priced phone will be only available for developing markets. 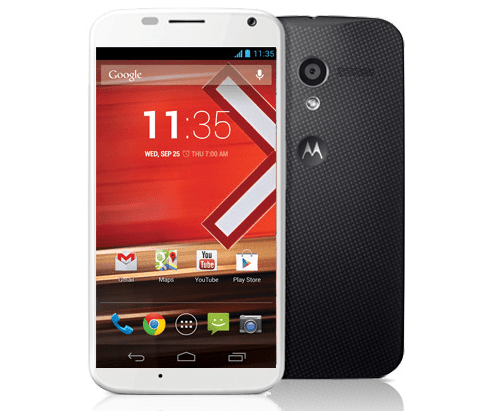 Cnet UK further reports that the Moto G will be available through UK retailer Phones4U for 135 pounds ($230). You can watch a live stream of the global launch this Wednesday night/Thursday morning here. More information on the Australian times for the live stream are in our previous article. Are you interested in the Moto G? Let us know in the comments! Next LG G Flex to be released in France – rest of the world later? I feel it’s a fake because of 2 icons in the dock. 2. Separate Messenger app and not Hangouts, on a Googlrola device. Indeed, but with how Google standardizes the icon designs, across Android versions, as a part of app updates, and also does similar with app functionality, and this is a Googlrola device, it feels wrong for it to not be compliant to the new icon design language, and also for it to still have a separate Messenger app, when that app’s functionality has been swallowed by Hangouts which replaces Messenger.